It's time to find out how the cookie crumbles, Barefoot-style, as Ina bakes up a storm in the barn. There's a double delicious treat as Ina makes Chocolate Chunk Blondies and Cookies from the same incredible batter. 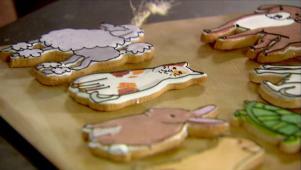 Then Patti Page, a fabulous friend and baker, is in the barn to give Ina a master class in cute Animal Cookies. 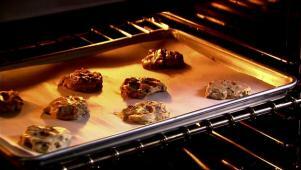 And everyone's cookie conundrums are solved In Ask Ina. 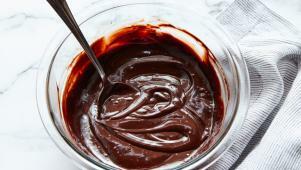 Ina makes rich chocolate ganache as a simple icing for shortbread cookies. A master baker shares her recipe and tips for Iced Shortbread Cookies. 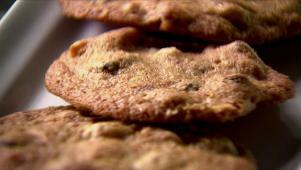 Ina gives a viewer tips for making a perfect batch of evenly baked cookies. A simple switch turns Ina's chocolate chip cookies into great pan blondies.